Only a short post this one. 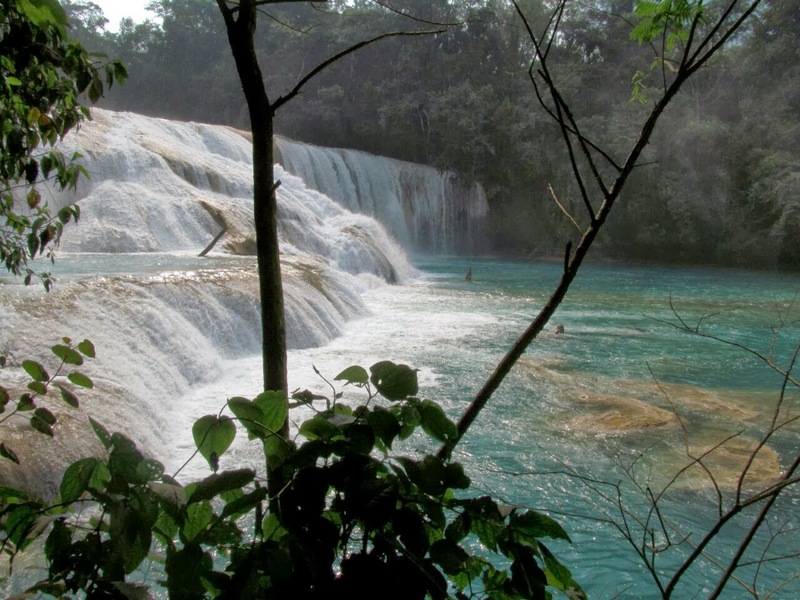 I wanted to separate the description of the ruins and the Mayan people from some of the more beautiful natural wonders we have encountered in Mexico. 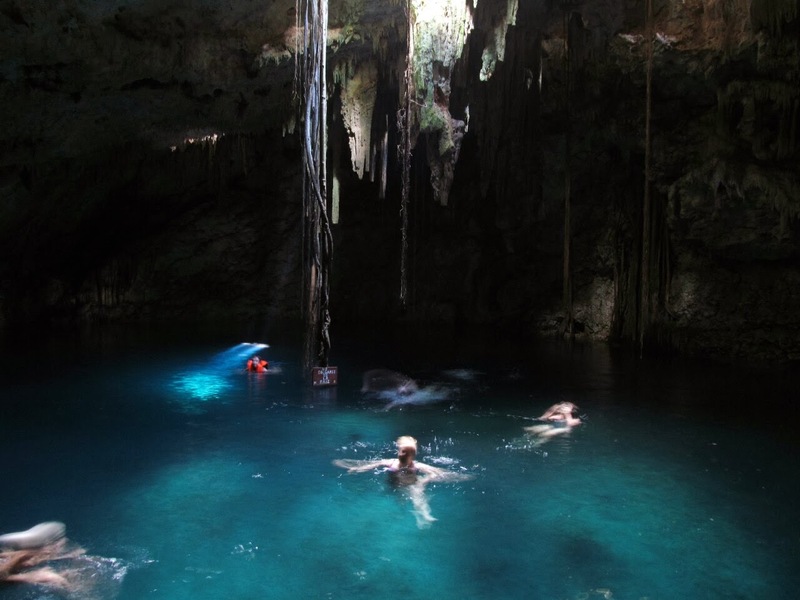 While in Merida in Mexico we had a day trip out to the cenotes. 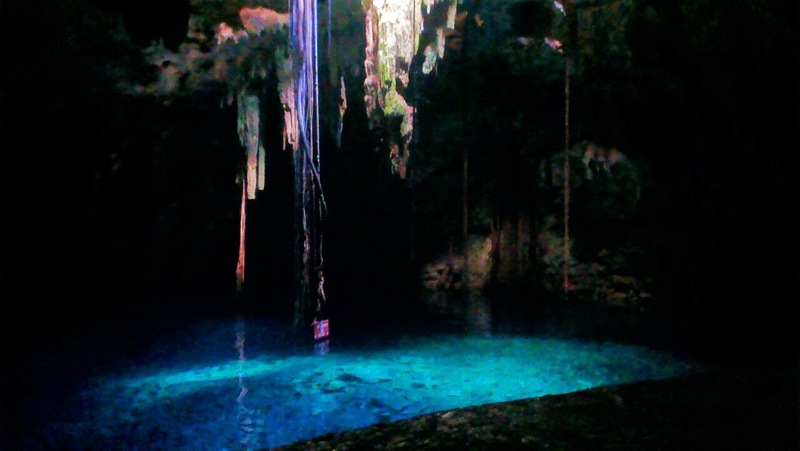 These are underground lakes in caves. 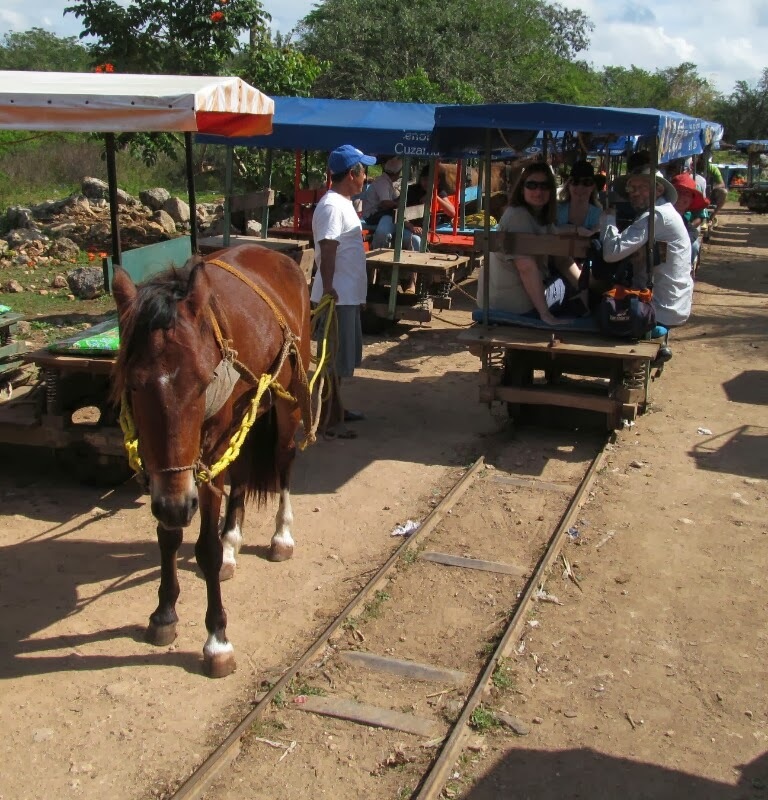 The transport to the cenotes was by horse drawn carriage along a railway track. It was only a single railway track, so if somebody was coming the other way one group would get off their carriage, physically lift it off the track and then put it back on once you were past. 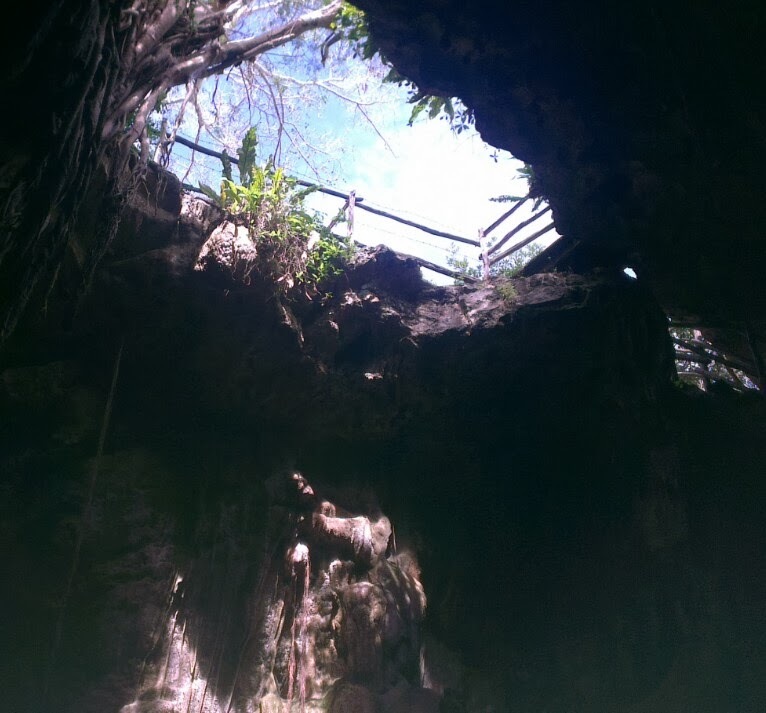 The cenotes themselves were an experience. 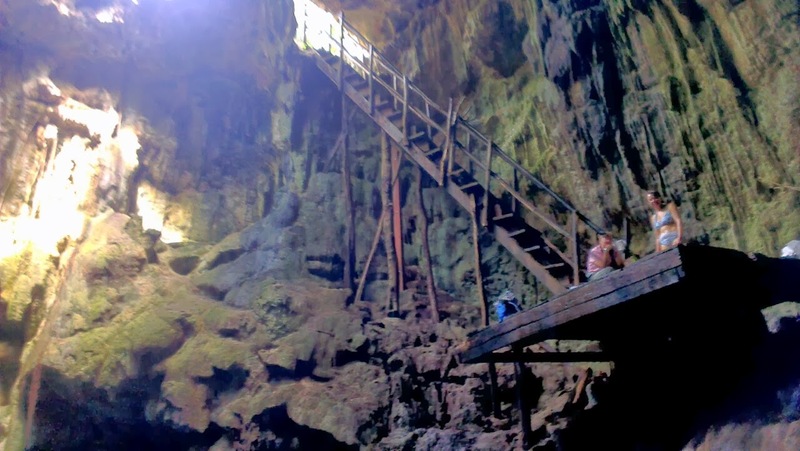 You would climb down into the cave, sometimes following a rough path, sometimes on a ladder, and go for a swim. Some were more accessible, bigger and more enjoyable than others. 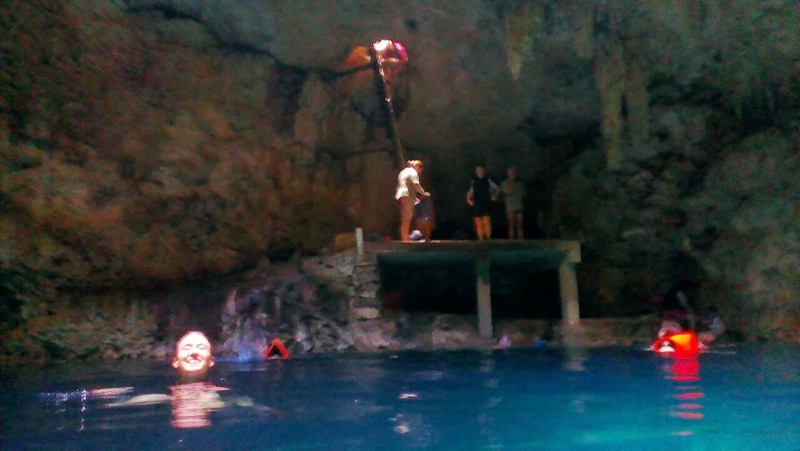 The water was crystal clear and warmish; stalagtites dangled from the roof. Normally they are lit by a naturally occurring hole in the roof, though one was viewed with torches. Unlike anything we had done before. 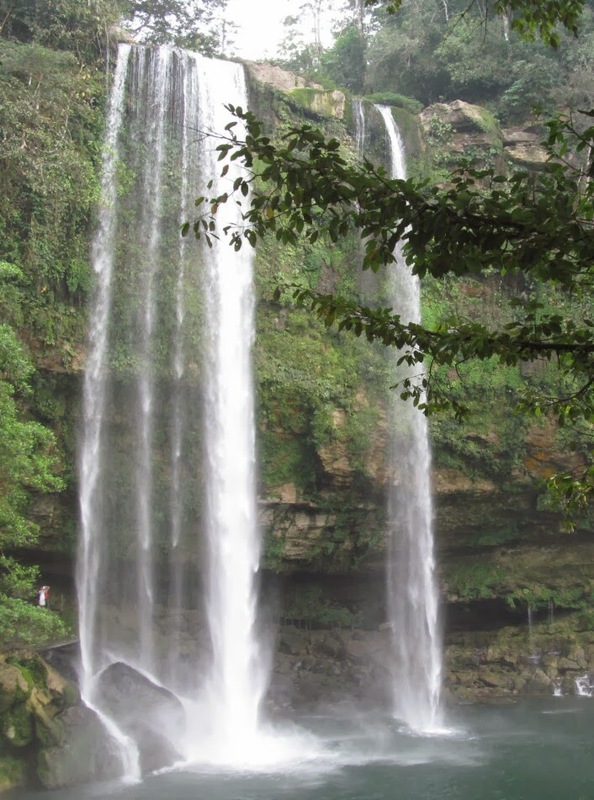 On the day after seeing the Palenque ruins we drove to some famous waterfall spots. One of them, Misol Ha, actually had a track behind it so you could witness the effect from the other side; very cool and I provide a video below. 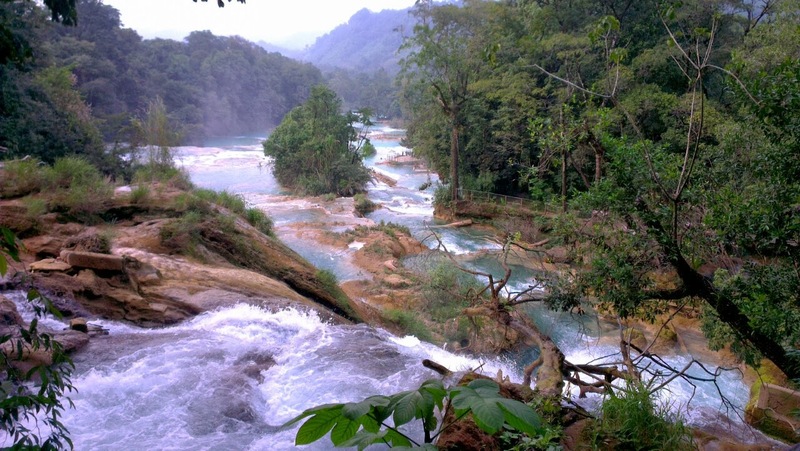 The day finished with a visit to Agua Azul (blue water) aptly named with its very bright clean green-blue colour. It was a cascading waterfall that went for over a km. We found a nice little spot about 700m upstream and went for a swim as the waterfalls were punctuated by calm pools; though you needed to be careful as the current got stronger when you moved towards the next drop. 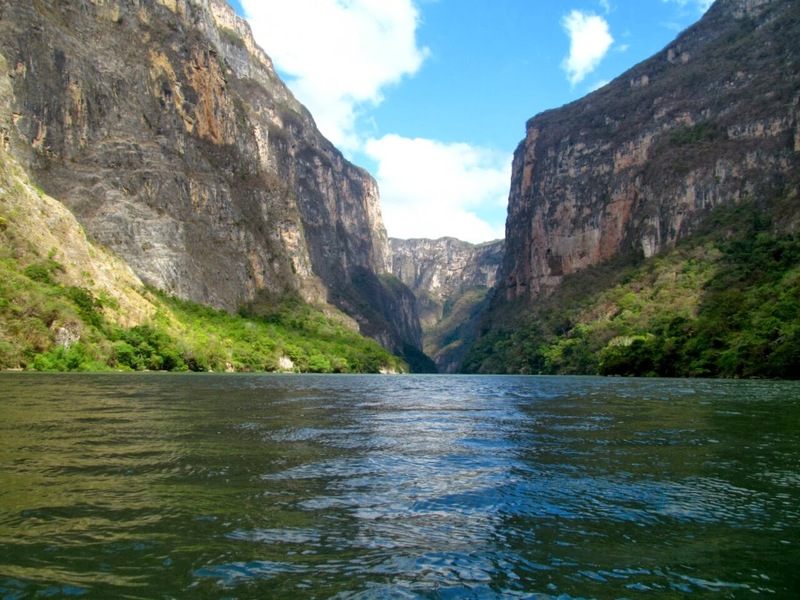 While we were at San Cristobal we took a trip out to Sumidero Canyon. This was a two hour boat trip along a river with high walls on both sides, at some parts up to a km high. 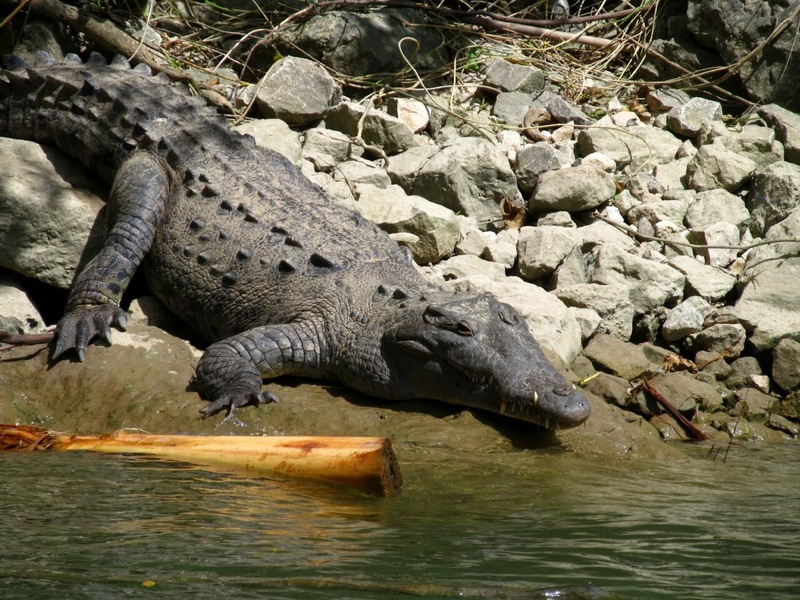 Along the way we saw many birds (including vultures), some monkeys and a few alligators.